Job interviews are increasingly likely to involve competency-based questions. What does that mean and how can you prepare? Preparation for any interview can be a daunting process, even more so when you are told the format will be ‘competency-based’. However, there are strategies which can help you prepare, feel confident and calm, and ultimately achieve a successful outcome. Competency-based, or behavioural interviews, are increasingly being used by employers to assess if you have the necessary skills, behaviour and overall aptitude a role requires. Instead of simply enquiring about what qualifications or experience you have, questions will be designed to determine what qualities you have and how you will adapt to common, work situations. You will be asked to give real-life examples which clearly demonstrate your input and the impact you made. First, take the time to congratulate yourself on securing an interview and think about what initially attracted you to the role, such as a new clinical area, more responsibility, a higher band or more flexibility in hours. Tapping into, and reminding yourself of, positive emotions can help balance out any thoughts of self-doubt. Next, you need to understand what your potential future employer will expect from you. The questions you will be asked will focus on how adaptable you are to the role and what qualities you will bring. Start by researching the clinical area or organisation and then identify the skills and qualities outlined in the job description. Non-NHS roles may state competencies required for the role, but most NHS posts will list essential and desirable knowledge, skills, experience and qualities in the person specification. 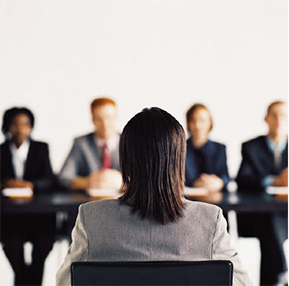 During your interview, questions will be based on skills and qualities outlined in the person specification. You will be expected to answer by drawing on your previous experience. The key to a successful competency-based interview is to have pre-prepared examples that you can adapt on the day. For example, you may be asked to tell the interviewers about a time you had to adapt priorities midway through a shift, or describe a situation where you had to delegate to another member of staff. One way to do this is to think back to the times when you have successfully displayed these qualities. Although the focus will be on your working life, you can bring in examples from voluntary work, committees or teamwork. The main criteria is to display the essential skills for the post. Once you have identified situations, try building your answers using the STAR approach (Situation, Task, Action, Result). Situation: identify the situation where you displayed competencies (skills, qualities), and give brief context. Task: concisely describe the tasks. Action: describe what you did, how you did it and why you did it. This is your chance to sell yourself so, even though you may have been part of a team, talk about your role. Result: explain the impact of your involvement. Say what you learned from the situation and how you would adapt this to the role for which you are being interviewed. If you have two or three examples for each of the main skills, you should have enough material to be confident about the questions. On the day of the interview, take time to think about why you want the job, and reflect on the preparation you have done. During the interview, listen carefully to the questions and take a minute to construct your STAR-based answer. Talk slowly and clearly, and make sure you demonstrate your input.